Everywhere you turn, somebody is talking about the Millennials, and it seems like most people doing the talking have a slightly sarcastic or condescending tone. They aren't really the group they're made out to be – times change, and generations adapt to the circumstances they are born into. Now, as they are climbing the ladder and planning for their future, they are facing additional challenges that can be difficult to overcome in certain parts of the country, such as achieving homeownership. 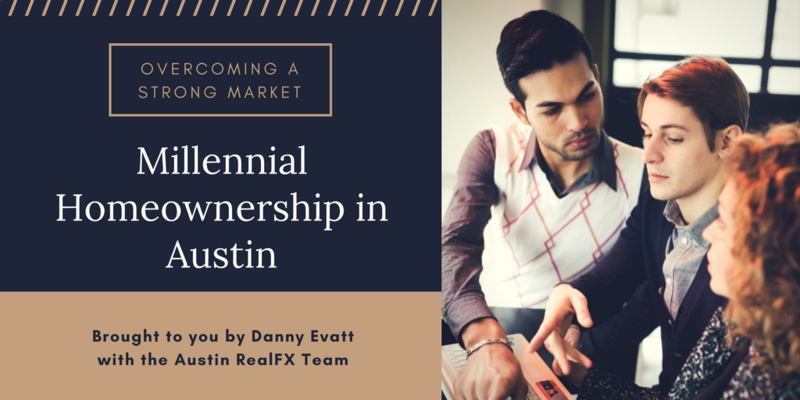 In Austin, many Millennials are having a hard time becoming homeowners due to the strength of the market. This is quite significant, as Millennials make up about 36 percent of the population in Austin, according to the Community Impact Newspaper. Austin is a growing city, which has increased both the price and the competition for real estate. As home prices have gone up, many Millennials are left in a position where there are few or no available homes in their price range. About 30 percent of the Millennials living in Austin have an annual salary of about $50,000, but many are also saddled with student loan debt that averages about $16,000. In most cases, they don't have the buying power of other older generations quite yet. Their financing options are sometimes limited because of debt. Not only are many Millennials managing their student loan debt, but they may also need to finance large purchases like cars. An individual's debt-to-income ratio is analyzed before they are approved for a home loan, and because of this, some Millennials don't qualify. Focus on building credit and improving your credit score. Pay off debt, and make timely payments to boost your score. Start saving whenever possible. The more money that you have saved for a down payment, the more competitive advantage you will have in the market. Identify must-have features, and focus on those. Be flexible with other features that may be nice, but are not always necessary. If you're looking to buy your first home and you're feeling a bit daunted by the rising prices in Austin, remember that there are many different paths to homeownership. Set a plan, and start researching Austin and its surrounding real estate markets like Round Rock – you may be surprised how soon one can transition from renting to owning a home!